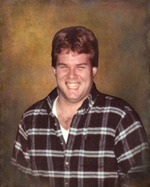 Glenn O’Rouke, 48, of McDonald, died March 2, 2013. He was born May 13, 1964, a son of Patricia Eitenmueller and the late James David O’Rourke. Mr. O’Rourke worked for B and Z Auto Body in Canonsburg. Surviving in addition to his mother is a son Dillon James O’Rourke of McDonald; a daughter Kati Elise O’Rourke of McDonald; and two brothers, James Todd of Neville Island and John O’Rourke of FL. Friends will be received Tuesday, March 5, from 2-4 and 6-8 p.m., the time of service, at Nation Funeral Home Inc. 220 E. Lincoln Ave McDonald. Memorial contributions can be made to Light of Life Rescue Mission, P.O. Box 6823, Pittsburgh, PA. 15212.